Having a baby is a bundle of joy for the whole family and for any parent the child’s safety is always a top priority so we always keep a close watch on our little ones. 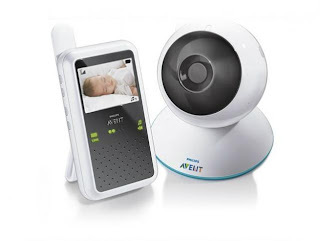 If you are a hands-on Mom, keeping a close eye on your baby even if you’re not around is now very much possible through the baby video monitor technology. Monitoring your baby while doing other tasks can be done without neglecting your baby’s needs, as you can see, hear and check on your beloved child every now and then. Thus allows you to tend and finish other home chores, especially if you do not have a nanny or a house helper. This wonderful device could allow you to do multi-tasking. Isn’t it a handy tool for the busy moms? Through the video feed, you can quickly attend to your baby’s need. Moreover, it also features soothing lullabies to help your baby go to sleep. It is therefore, one of the must-buys when you’re on the way, aside from the crib, baby clothes, preparation of the baby’s room and other baby stuffs. With the emergence of technology, baby care has been made easy nowadays.